Keeping your kitchen hygienic and well sanitised at all time is essential for the well-being of your family and customers. 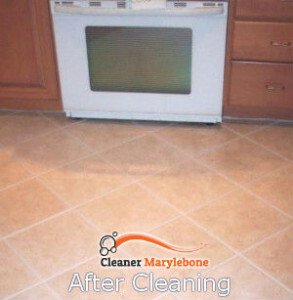 We can help you maintain the kitchen in your home, restaurant and rented flat perfectly clean. Our staff can deep clean the appliances, white goods, furniture, floors, internal windows, sinks, counters and all areas. They use effective preparations and cleaning solutions which dissolve and remove greasy marks, carbon deposits, stains and food leftovers. The kitchen cleaning which you will receive from our staff, operating in the Marylebone territory, is professional, effective and reliable. If you need one-off or regular sanitising of the kitchen in your home, property for rent or restaurant get in touch with us. Our cleaners will arrive at your property and check your kitchen appliances, furniture and sinks. They will dismantle all removable parts of the electric appliances and white goods to soak them in cleaning solution and scrub them well. The grease, burnt-on carbon and grease will be removed from the detachable parts. Our staff will polish and scour the body, internal and external surfaces of the washing machine, refrigerator, freezer and the rest of the appliances. They will sanitise the kitchen furniture, internal windows, wash, mop or hoover the floor. 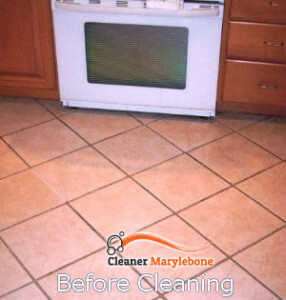 We provide detailed kitchen cleaning within Marylebone, appropriate to be used in houses, flats, restaurants and hotels. Use our professional services to maintain the necessary cleanliness of your kitchen and spend your free time in a better way than scrubbing, wiping and sanitising your kitchen. We offer many discounts to customers who book more of our cleaning services. Our company works seven days in the week including in the evenings and on Bank Holidays without any surcharges. If you have a restaurant, flat or house that you offer for rent in the Marylebone, W1U region, call us and order our kitchen cleaning. You will have perfectly sanitised cooking appliances, furniture and kitchen area.